Minister for Health Simon Harris has signed 23 sections of the Public Health Alcohol Bill into effect. The legislation, which was passed overwhelmingly by the Oireachtas last month, legislates for alcohol as a public health priority. The measures contained in the 23 sections will take effect over the next three years. 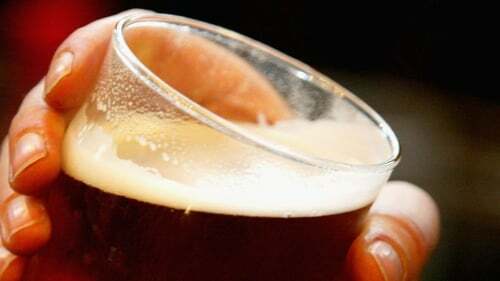 From 12 November next year, alcohol advertising in or on public service vehicles, at public transport stops or stations, and within 200m of a school, crèche or local authority playground will be prohibited. Advertising in cinemas will be prohibited except around films with an 18 classification or in a licensed premises in a cinema. Children's clothing that promotes alcohol will also be prohibited. From November 2020, in mixed retail outlets alcohol products and advertising must be confined to one of the following: an area separated by a 1.2m-high barrier, or units in which alcohol products are not visible up to 1.5m height, or up to three units that can be a maximum of one metre wide by 2.2m high. In addition, alcohol products can be contained but not be visible in a unit behind the counter. From November 2021, a prohibition on alcohol advertising on a sports area during a sporting event, at events aimed at children or at events in which the majority of participants or competitors are children will take effect. Alcohol sponsorship of events aimed at children, events which the majority of participants or competitors are children and events involving driving or racing motor vehicles is prohibited. "This is the first time in the history of our State that we have endeavoured to use public health legislation to address issues in respect of alcohol. It is, therefore, a groundbreaking measure," Mr Harris said. "We know that we have a relationship with alcohol in this country that is not good, damages our health, harms our communities and harms many families. "The measures in this bill will make a real difference to changing the culture of drinking in Ireland over a period of time." Other parts of the bill, such as minimum unit pricing, require a separate Government decision.